This entry was posted in Development/RTsoft, Dink Smallwood, Proton SDK on November 4, 2010 by Seth. Wonderful! If you need any beta testing on a Galaxy S, Droid 1, or Droid Incredible or G1, let me know. Great! Yeah, because of the diversity of devices and Dink’s extended audio and control needs, I’ll do open betas like I did with android Dungeon Scroll, it worked out very well. Wow, lookin’ good! I’m also open for beta testing on HTC Hero. And, by the way, will we be able to import/export saves from/to the PC version? Hmm, probably looking at week or two before a beta. Wife is in India on business for a week and I’m now Mr. Mom so.. yeah. Saves are fully compatible with the desktop versions. You’ll have to get/put them on the SD card manually though. Unsure if that’s a pain or not, haven’t tried it yet. 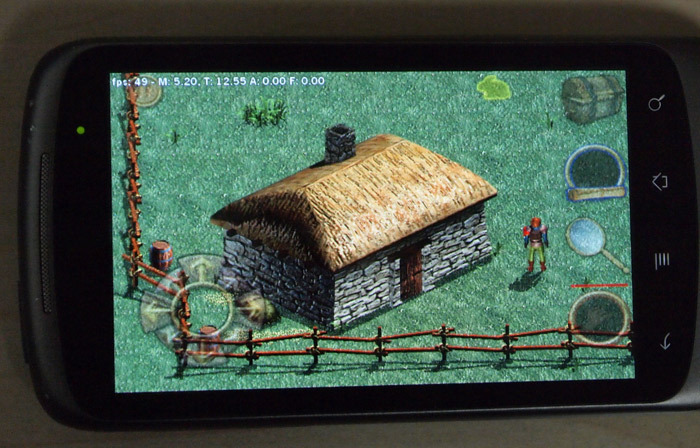 if you need a Beta tester on the myTouch 3.5MM(Not sure if that matters) I am all game…been playing Dink since it first came out…love it!